After finishing my sewing project last week, I got some chenille and started experimenting with some crocheted circles to make a belt or a scarf. I didn't really like how either was turning out, so I thought I better find a new project. 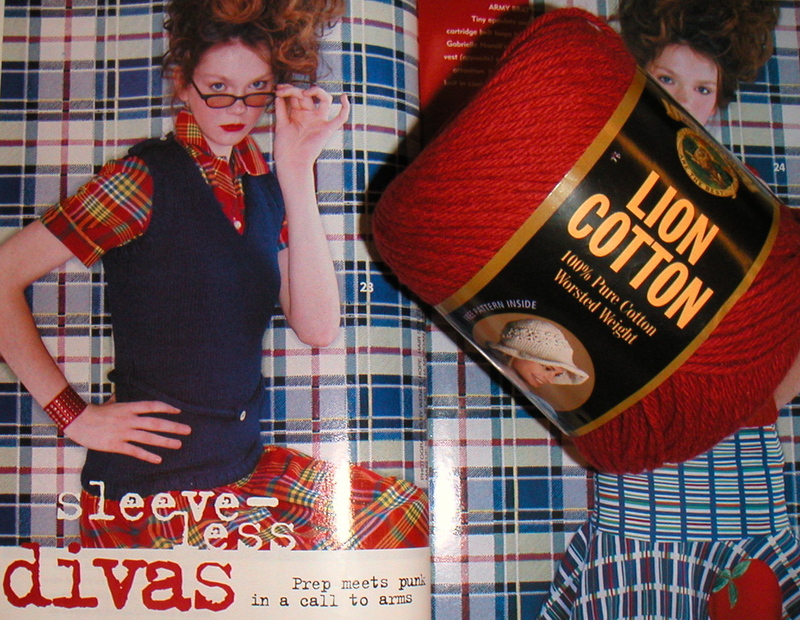 I decided to continue on with another knit.1 pattern, the vest with epaulettes. I'll swatch this afternoon.